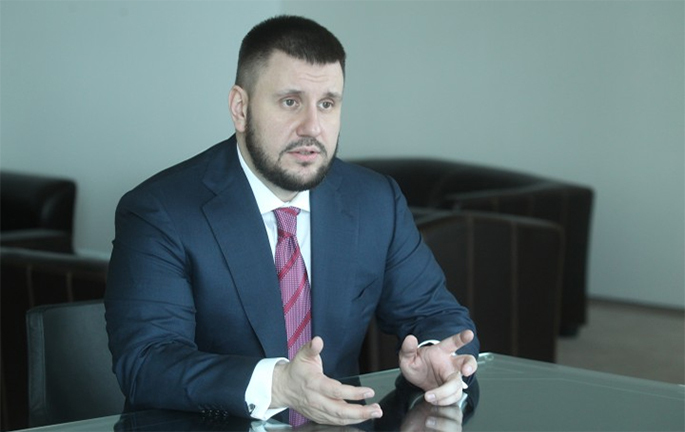 Oleksandr Klymenko: "VAT accounts - is the introduction of martial law in the country's economy" ⋆ News ⋆ Official website for Oleksandr Klymenko. In fact, the institution of the mechanism of VAT accounts – it is a tax on turnover, which will freeze on fifth of current assets and can lead to increasing of consumer prices. «Actually, it is the introduction of martial law in the country’s economy», – wrote Oleksandr Klymenko – former Minister of Revenue and Duties of Ukraine – on his official Facebook page concerning the initiative of the government on the institution of VAT accounts. “Nowadays, I would like to pay attention to the publicized issue on VAT-accounts, which was represented by Arseniy Yatsenyuk – Prime Minister – and Igor Bilous – the head of State Fiscal Service – as an instant recipe for solving all problems related to VAT. They claim that the encashment will disappear immediately and refund will be almost instantaneous,”- said the ex-minister, adding that «everything would be great, if there were no plethora BUT». – Why does Arseny Yatsenyuk ready to implement measures, which were denied by Yanukovych government in 2004 and 2006, the government of Yulia Tymoshenko in 2010 due to the protests of business?! – Why does the government is ready to kill the business, which is trying to survive in this country, by depriving it of 1/5 of working assets? – Why does the government deliberately create the preconditions for further price increases for consumer goods? Is it indifferent to its citizens? Further Oleksandr Klymenko disclosed the scheme of VAT accounts. Thus, each enterprise-VAT payer, in addition to its current account, will need to create a separate account for the VAT Service VAT payments. The government is planning to establish a separate VAT-Bank at the State Treasury or the National Bank. According to the proposed scheme, customers pays the VAT amounts from the current accounts of their own VAT accounts of sellers on the date of the first among the events: payment for goods / services or supplies. At the same time, payers can not freely use or transfer funds from their VAT special accounts. Moreover, the VAT balances on accounts can be automatically recalculated by the state to repay the obligations of the payer VAT by the end of the reporting period. Oleksandr Klymenko stated that he was personally involved in the working group, which was established with the Tax Service in 2010, which was preparing a project on the institution of VAT accounts. He noted that “the introduction of special accounts for VAT has more disadvantages than advantages. That’s why it is not used anywhere else in Europe. In that countries, where the mechanism of VAT accounts was implemented (it can be counted on one hand), it was exclusively fiscal by its nature – in order to increase revenues to the budget. It has led to a significant rise of the costs of doing business”. In fact, Klymenko claimed that the VAT account – is the introduction of an additional tax on turnover. In fact, the business will be forced to freeze 1/5 of its working assets, which he now uses in its sole discretion – investment in the business, repayment of loans, payment of wages, and so on. Nowadays, according to the State Fiscal Service, these funds will belong to the state (no to the taxpayer). For instance, if a company works mainly due to credit lines of banks, the freezing of working assets on VAT account will jeopardize its existence. Needless to say the impact on the business, which makes payments to contractors mainly by cash or in-kind, the obligation to constantly replenish the VAT account from your checking account,” writes the former minister, adding that “In addition overpayments, which are formed in VAT accounts of the taxpayers, will hardly be refunded. It will automatically be charged to the budget”. Ex-minister noted the necessity for tens of legislative changes. He suggests that businesses will try to shift some of the load on the shoulders of consumers. “It means a new round of price increases on all consumer goods, including and food, medicine, fuel, etc. “- says Oleksandr Klymenko. He predicts that “if even Mr. Yatsenyuk has enough stupidity to listen to these pseudo reformative ideas, the goal, namely, the refusal of the encashment by enterprises, will not be achieved. Nature abhors a vacuum, new schemes of false export and encashment will be created minutely”. Klymenko also wonders “why do leading business associations, which defend the interests of the business, keep silence in this situation? 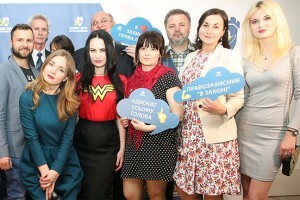 Are they not afraid of the heads of the State Fiscal Service, Ministry of Economic Development and Trade of Ukraine, Ministry of Finance, which do not hesitate to experiment with business and jeopardize the private sector, pulling not fresh ideas, which have been declined all over the world (including Ukraine earlier)? Ex-minister believes that the idea of the introduction of VAT accounts should be discussed with the business. It can be implemented as a pilot project in a particular industry or region. In any case – concluded Klymenko – «VAT accounts – is the introduction of martial law in the country’s economy. A feature of the martial law, as you know, is the state is doing and even thinking for us…».